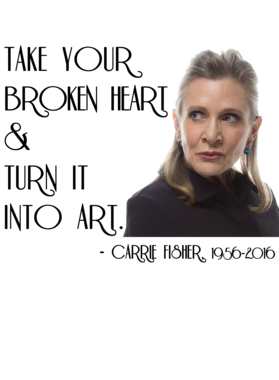 Take Your Broken Heart and Turn it into Art R.I.P Carrie Fisher Quote T Shirt comes on a Sport Grey 100% cotton tshirt. 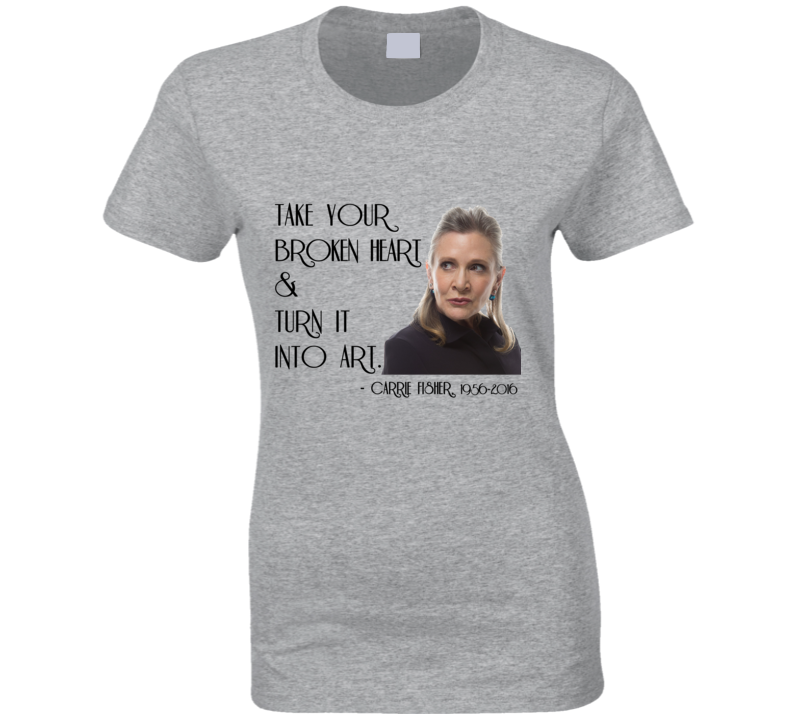 Take Your Broken Heart and Turn it into Art R.I.P Carrie Fisher Quote T Shirt is available in a number of styles and sizes. This Movies tshirt ships via USPS.